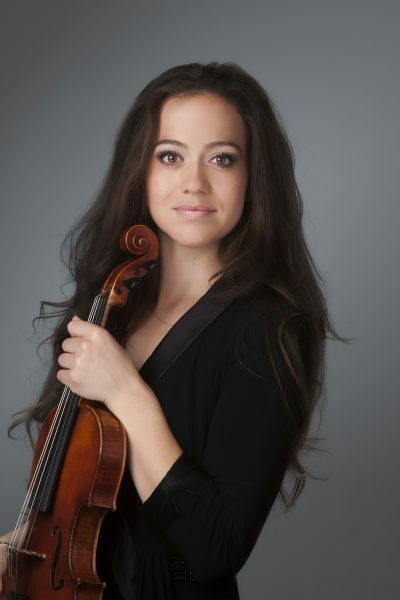 Lauren Roth is concertmaster of the Tucson Symphony Orchestra and was named Assistant Professor of Violin at the University of Arizona beginning in the 2013-2014 school year. Prior to these positions, she was concertmaster of the Canton Symphony. In May 2013, Roth earned a Master of Music degree from the Cleveland Institute of Music as a student of William Preucil, and she was accepted into his prestigious Concertmaster Academy. She was a member of the Cleveland Pops Orchestra and a substitute with The Cleveland Orchestra. A native of Seattle, Roth received a Bachelor of Music degree in violin performance and a Bachelor of Arts degree in Italian studies from the University of Washington. She was a student of Professor Ron Patterson. During that time, she served as concertmaster of the Seattle Philharmonic Orchestra, Thalia Symphony, Marrowstone Festival Orchestra, and the UW Symphony. Roth has appeared as soloist with Philharmonia Northwest, Thalia Symphony, Canton Symphony, Sierra Vista Symphony and the Tucson Symphony. In 2013 she attended the Tanglewood Music Center and received the Jules C. Reiner Violin Prize. An avid teacher and chamber musician, Roth was an adjunct faculty member at Holy Names Academy in Seattle and has served on the faculty of Icicle Creek Music Center and the International Lyric Academy in Italy. She spends summers in Prague, Czech Republic and Bellingham, WA where she is a faculty member at the Prague Summer Nights Festival and the Marrowstone Music Festival respectively. This year, Roth looks forward to solo engagements with the Tucson and Canton Symphonies and she is thrilled to join the National Taiwan Symphony Orchestra Summer Music Camp as well. Outside of music, Roth enjoys sports, yoga and spending time with her nieces and nephews.